Becoming the best gamer you can be means getting gear that will suit your personal needs and preferences. A lot of people tend to spend heavy on their mouse (click here to see what mice the pros use) but it’s not really common for people to spend a lot of time or money searching for their perfect mousepad. That’s a shame because, much like mice, pads come in a wide variety of sizes and materials, each with their own distinct characteristics. Getting a pad that’s large enough to accommodate even the largest mouse swipe while still offering enough stopping power so that you can accurately flick to enemy heads can really make a world of difference in a game where one bullet to the dome can mean the difference between a round won or a round lost. 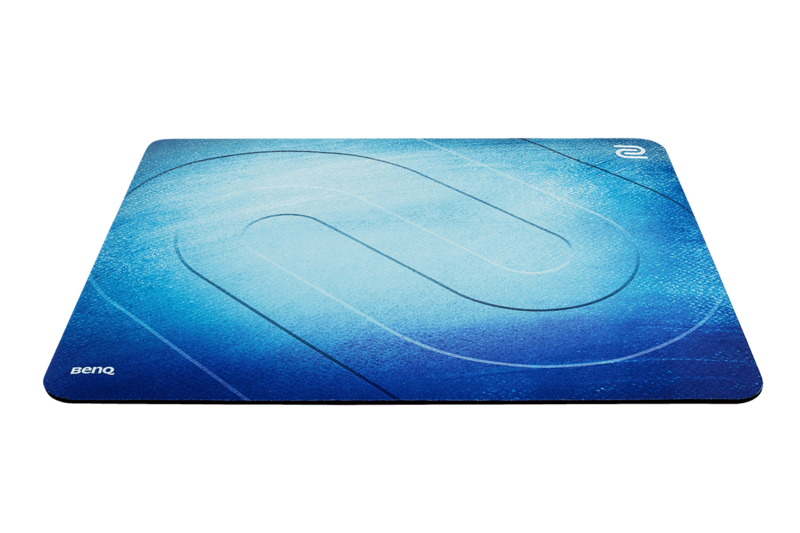 There’s lots of marketing speak out there when it comes to mousepads, so if you’re unsure what to pick you’ve come to the right place. We have gathered the top picks among CS:GO professionals and listed them out, along with a couple of lines of information on what makes the pads in question unique or worth getting. We have reviewed every pad on this list (minus the QcK+, which is a thinner version of the QcK Heavy) so for a more in-depth look we encourage you to check out the specific reviews of each pad. Do feel free to check out our review section for reviews on other pads as well. What makes a mousepad good for CS:GO? The pads in this top five all have slightly different characteristics, but they have two things in common: all of them are cloth pads, and all of them are large pads. Cloth pads have been the de facto standard in competitive gaming for a pretty long time now (they’re more portable and are far less harsh on mouse feet, among other reasons) so there’s no real surprise there, but some newer PC gamers might be surprised to see that all of these pads are very large, at least when compared to standard office mats. That’s because you really don’t want your sensitivity to be too high when you’re playing shooters. The average sensitivity of professional players varies between games, but in general pro players have to move their mouse pretty far to perform a 180, for example. It’s well-known that having a lower sensitivity leads to more consistent and precise aim, and since accuracy and pinpoint precision are among the most important qualities for a CS:GO player the average eDPI is indeed on the lower side in CS:GO. And even if you don’t need all of that mousepad real estate; it’s still better to have too much space than to accidentally drag your mouse off of the pad every so often. Zowie’s gaming gear is tailor-made for shooter games and the brand’s roots lay firmly in the world of Counter-Strike, so it’s not really a massive surprise that the brand is so well-represented in the pro CS:GO scene. Their G-SR model is used by more than a quarter of professionals, and the SE version (which does differ from the regular G-SR, but more on that later) takes the third spot. Overall Zowie’s pads are being used by just over 37 percent of CS:GO professionals. 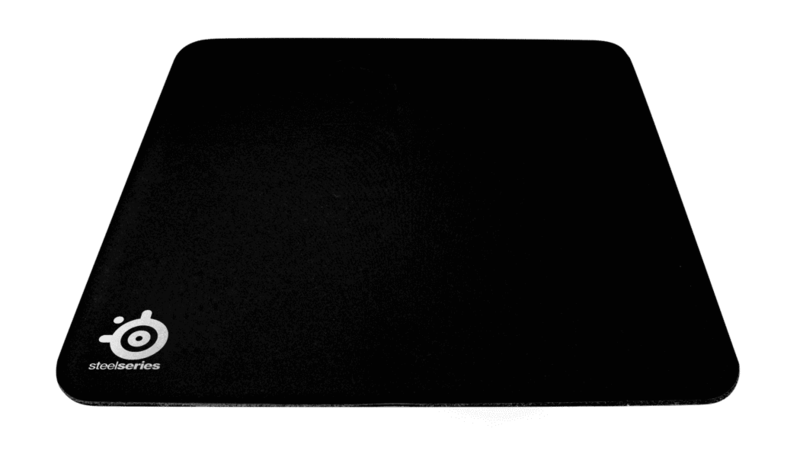 Coming in second we’ve got SteelSeries who account for about 31% of mousepads, and after that we’ve got various brands such as Xtrfy, HyperX, Logitech, Razer, and even Fnatic Gear who all share about equal portions of the pie. Little side note: a lot of CS:GO pros use a pad with custom team/personal branding. In most (if not all) cases these pads are the same as the ones without custom printing as far as specs go. It’s often said that cloth pads are all extremely similar in feel, and while that might be true for some pads (and even then you’re painting with very broad strokes) our number one pad is already evidence to the contrary. The G-SR is the most controlling pad on this list by a long shot, offering plenty of stopping power and surface friction. That’s going to make it a great choice for people who have a tendency to overshoot their targets or players who are often doing large sweeping motions and want to control those swipes a bit better, or just for people who don’t want a fast pad and prefer a grittier, more controlled glide. The G-SR definitely isn’t for everyone due to its very specific glide, but if you like the sound of a control pad then this is definitely the one for you. It lays flat almost immediately and has a perfectly smooth surface. The pad is finished with stitched edges as well, so it’ll last you for years if you take good care of it. CS:GO is a rather slow-paced game where there’s a lot of focus on crosshair placement and holding and controlling angles and sitesm so in our minds it makes sense that the most popular pad is a slower pad which allows you to perfectly control your aim. The QcK Heavy is an absolute unit of a pad. 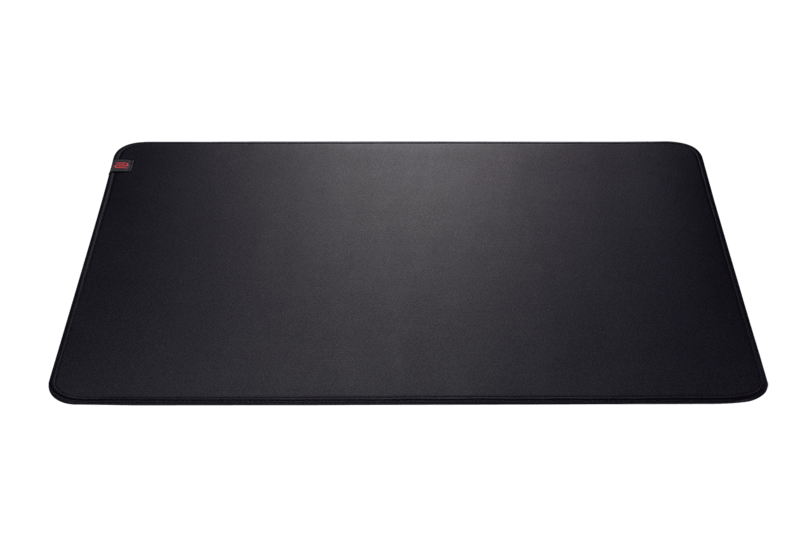 With its 6 mm thickness and large size it’ll certainly have your monitor wobbling a bit if you slap it down on a desk indiscriminately, and that’s probably also what makes it the number two pad on our list. A thickness of six millimeters means that the pad will rather easily cover up any irregularities that can be found on the surface that you put it on. That’s not really the most useful aspect if you’re sat at home gaming on a perfectly smooth desk, but if you’re playing on a different surface with any regularity (like the pros do) it’s definitely worth it to consider this problem. Aside from the thickness aspect the QcK Heavy is also just a good gaming pad. It offers a medium-fast gliding experience which is really similar to what a lot of other pads offer, but it does it well and doesn’t need a lot of maintenance, so it’s a really good LAN pad. The QcK+ has the same surface material as the QcK Heavy, but the + version is thinner. With its two millimeter thickness it’s quite possible that the QcK+ feels a little bit faster than the Heavy, and that’s because it offers a less cushioned feel when compared to the heavy and as such the pad doesn’t ‘absorb’ the mouse as much. Compare it to running on very soft and mushy grass vs on concrete, if you will, though the difference between these pads obviously isn’t that staggering. The QcK+ is an ideal option if you like how the Heavy glides and feels but you can’t get over the thickness. The GS-R-SE might sound as if it’s just some recolor of the G-SR, but that’s not the case. The SE version offers a faster glide than its brother while staying true to the G-SR feeling of leaning more towards control. 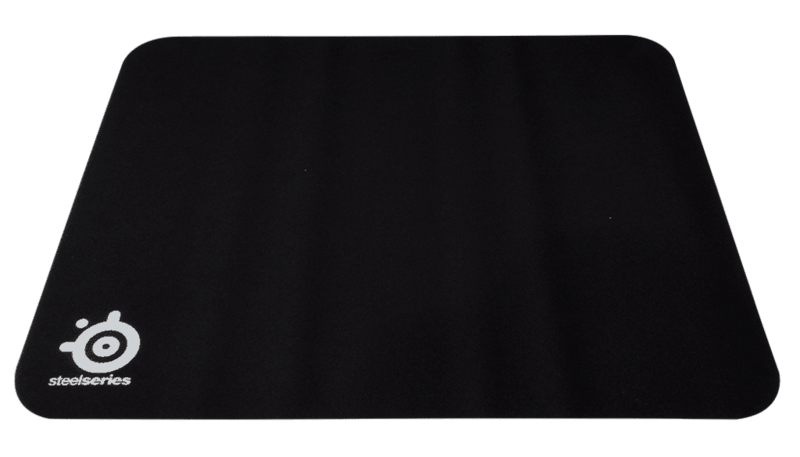 The SE offers a super smooth playing surface which lays flat almost immediately, and thanks to its tightly packed foam it’s better at covering up playing surface irregularities than most other pads of the same (3.5 mm) thickness. All of these qualities combined make it a pretty great LAN pad, and the interesting glide (it’s a bit slower and more controlled than ‘the usual’ cloth pad gliding experience, yet doesn’t feel overly controlling) makes it an intriguing pad and something that you should definitely try out if you want to step away from the usual ‘medium-fast’ cloth pad gliding experiences. 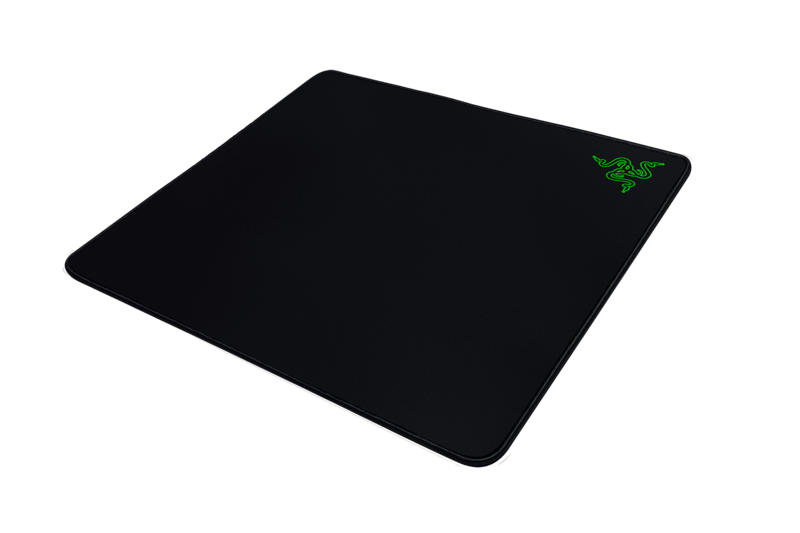 The Razer Gigantus is another pad that offers a pretty special glide. Whereas most control-oriented mousepads can be quite limiting when you’re trying to make micro-adjustments the Gigantus doesn’t do that, but it’s also not a super fast pad where you feel like you could lose control at any time. Our reviewer described it as ‘the perfect balance between control and speed,’ so if you’re sitting on the fence and you want to stay on that fence for the foreseeable future it could be wise to check out the Razer Gigantus. The thickness of 5 mm means that it’ll cover up most surface irregularities with relative ease, but that also means that it’s going to be a little too thick for people who want to feel that seamless transition between their desk and the pad. This list offers a pretty wide variety of pads, ranging from very controlling pads to (for cloth, at least) pretty fast ones. It’s not easy to see the forest for the trees when it comes to gaming peripherals, but luckily pads are a bit easier in this regard than most other peripherals. If your mousepad doesn’t mess up the tracking of your mouse you’re, technically speaking, golden. That doesn’t mean that there aren’t drastic differences between different products, though. This list (and the accompanying in-depth reviews) can hopefully serve as a baseline to see the advantages and disadvantages of certain types of pad and help you with choosing your next (or first) gaming mousepad. If you have any questions about any particular mousepad feel free to write a comment on one of the reviews, or contact us on Twitter.